Medal of Honor nominee Jesus S. Duran was born, July 26, 1948, in Juarez, Mexico. Duran joined the U.S. Army on May 13, 1968. He was assigned to Company E, 2nd Battalion, 5th Cavalry, 1st Cavalry Division (Airmobile) to support the efforts of Search and Destroy. In the course of the third phase of the Vietnam War, then-Spc. 4 Jesus S. Duran distinguished himself on April 10, 1969, as a machine-gunner on a search and clear operation. His actions saved several wounded Americans and led to the enemy’s retreat. After leaving the military, Duran pursued a career as a corrections officer at a juvenile detention center in San Bernardino, Ca. While working there, he dedicated numerous hours of personal time to mentor youth and lead them on educational trips. Duran married twice and had two children. He was the sixth sibling out of 12, and loved spending time with all of his family. In addition to the Medal of Honor, Duran received the Distinguished Service Cross (this award will be upgraded to the Medal of Honor on Mar. 18), Bronze Star Medal, Air Medal, Army Good Conduct Medal, National Defense Service Medal, Vietnam Service Medal with four Bronze Service Stars, Combat Infantryman Badge, Sharpshooter Marksmanship Badge with Auto Rifle and machine-gun Bars, Marksman Marksmanship Badge with Rifle Bar, Vietnam Campaign Medal with “e;60″e; Device, Republic of Vietnam Gallantry Cross Unit Citations with Palm Device. 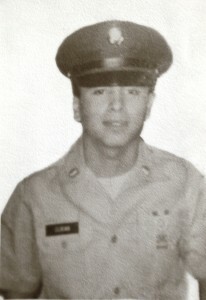 For extraordinary heroism in connection with military operations involving conflict with an armed hostile force, in the Republic of Vietnam: Spc.4 Jesus S. Duran distinguished himself by exceptionally valorous actions, April 10, 1969, as a machine-gunner on a search-and-clear operation. The reconnaissance platoon was moving into an elaborate enemy bunker complex when the lead elements began taking concentrated ambush fire from every side. With an M-60 machine-gun blazing from his hip, Duran rushed forward and assumed a defensive position near the command post. As the hostile forces stormed the post, he stood tall in a cloud of dust being raised by impacting rounds and bursting grenades aimed at him and thwarted the chargers with devastating streams of machine-gun fire. Learning that two seriously wounded troopers lay helplessly pinned down under harassing fire, he assaulted the suppressive enemy positions, firing deadly bursts on the run. Mounting a log, he fired directly into the enemy’s foxholes and eliminated four of them and several others as they fled. He then continued to pour effective fire on the disorganized and fleeing enemy. Duran’s extraordinary heroism and devotion to duty, at the cost of his life, were in keeping with the highest traditions of the military service and reflect great credit upon himself, his unit, and the United States Army. Duran is set to receive the Medal of Honor posthumously in a ceremony at the White House on March 18.